Why did I write my new book, ‘Speaking the Piano’? I have been fortunate to spend my whole career performing the great literature of classical music which I’ve loved ever since I was a child. I’ve had wonderful teachers and have tried to pass on their insights to a new generation of students. Any profession that involves a high degree of skill and constant public exposure is never going to be easy, but in recent years I have begun to feel that this sort of career, founded on one of the world’s great artistic repertoires, is more fragile than at any time I can remember. I’ve written several books about my experiences as a performer, but ‘Speaking the Piano’ focuses on an aspect of a musician’s life without which I could not have succeeded: the teachers I have encountered, and in turn the experience I have had of teaching a new generation. Teaching is the vital link which joins the generations of classical music and musicians, all the way from Beethoven and Brahms to the musicians of the future. Without that link, the wellbeing of the musical tradition I have lived in is under threat. Recently a friend who runs a youth orchestra in the north of England told me he was having more and more difficulty finding orchestral pieces easy enough for young people to play with the limited instrumental skills they had acquired through school music lessons. Soon, he lamented, we’ll have to give up doing classical repertoire. Schools are not investing in instruments. They don’t even try to teach children to read music. Parents are asked to pay for children’s instrumental lessons, as though they are an optional extra. Children are under such pressure to do well in exams that they have no time for daily practise, and as we know, you don’t get far in classical music without commitment. With a sinking heart I began to see that if music continues to be downgraded in education, much of our greatest composed music will gradually move out of reach of a new generation of players. Yes, there may still be specialist conservatoires, but we all know from experience that it’s easier to learn languages and physical skills when you’re young – and music is the sort of language which requires very specific physical skills. I thought about my own favourite music, which lies more in the realm of chamber music and solo piano pieces. Most of it requires a high level of instrumental skill and score-reading ability. What would happen if young people no longer developed those skills? Clearly, there would come a point where my favourite music could no longer be played. We would have records, of course, but if there were no live performance, it would be like peering at the music in a museum. Music is a performance art, and exists only when people play it. What composers mean in their scores is often very subtle, and to interpret that meaning requires a combination of skill, knowledge, intuition and context. It’s the great teachers who pass on these things from one generation to the next. When I thought about the lessons I’d had, I realised that as well as developing my instrumental skills, they had trained me to ask questions and look beyond the notes. What idea or vision motivated the composer to write this piece? How does its particular musical language work? How could I ‘channel’ the composer so that the music jumped freshly off the page? To answer these questions involved expanding my imaginative horizons, because the music was often bigger than my experience at that time. I still remember a moment in a masterclass given by the Hungarian piano professor György Sebök. A young woman had just played some Chopin rather stiffly and cautiously. He asked her why. She replied that she loved the piece so much that she couldn’t bear the thought of spoiling it with mistakes. Sebök smiled and said gently, ‘I think you love it all the time except when you are playing it.’ The student’s eyes flew open as she glimpsed this new perspective. It also enlightened the rest of us by making us think (for years to come, in fact) about what happens to our love of music, and indeed of ourselves, under performance conditions. I have been fortunate in having some very interesting teachers and some mind-opening lessons – not just in classical music but in jazz too, and more recently when I learned about the complex tradition of flamenco clapping. In all these genres, my teachers made no bones about the fact that I was going to have to work at it. With music of rich heritage and deep feeling there could be no easy success, but the effort would be worth it because of the fantastic things I’d be able to play, and the wonderful musicians I’d be able to collaborate with. My own musical education, acquired internationally and continuing well into adult life, was a fascinating experience. It had an impact on me and my approach to life far beyond the arena of music. As time went by I began to teach the next generation of musicians, and found that the experience of teaching was as fascinating as the experience of learning. 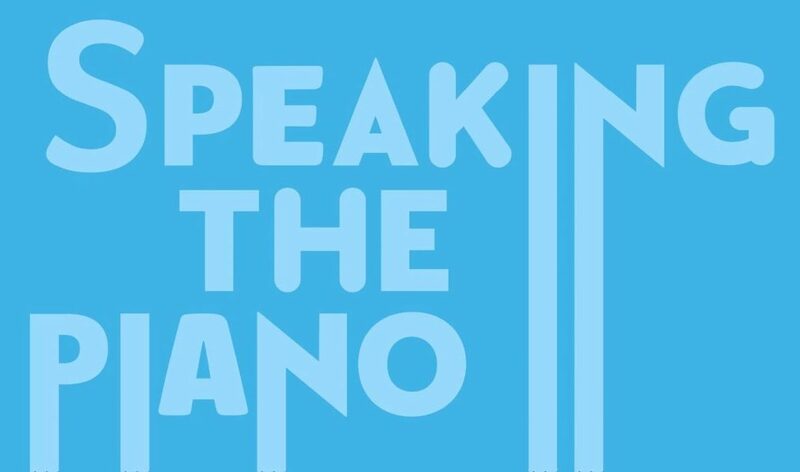 In ‘Speaking the Piano’ I talk about learning and teaching as a two-way process in which both the pupil and the teacher are challenged and hopefully enriched. Speaking the Piano by Susan Tomes will be published by Boydell Press in hardback in June 2018. Republished with permission from Boydell & Brewer. Next ArticleTHE AUSTRALIAN WORLD ORCHESTRA RETURNS TO INDIA FOR THREE EXTRAORDINARY CONCERTS IN SEPTEMBER 2018!